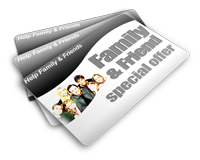 Complete the form below to send your friend or family member this special offer: Free consultation and initial exam! Complete the form below and you’re friend will receive this special offer: Free consultation and initial exam . They can use it anytime they want! They’ll receive it instantly, Compliments Of You!